Here's a thing: Instagram now supports right-to-left languages. Quite frankly, I'm a little surprised that this wasn't present already given the amount of people who speak these languages, but it's here now. If you speak one of those languages, it's very easy to switch your app over to it. To switch your language to Arabic, Hebrew, or Farsi, just go to the settings tab, then 'Language,' then choose which RTL language you'd like. After doing so, your app will read from right to left. 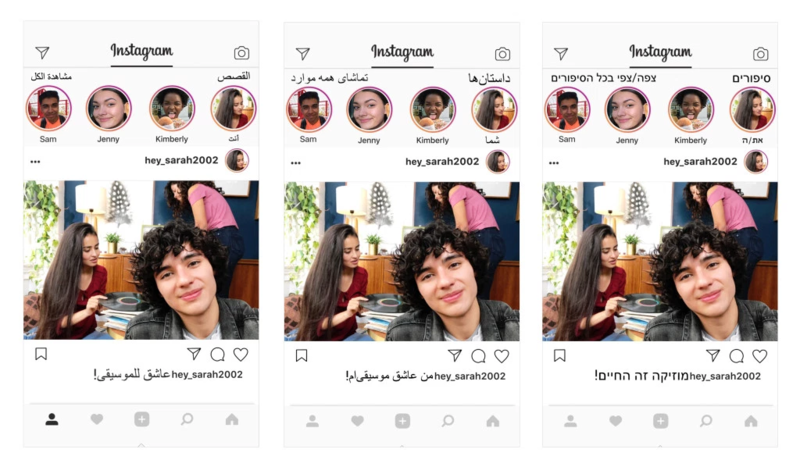 I got the languages added after updating to the latest version of Instagram, so head to either the Play Store or APK Mirror to grab it.